dLK.Legal | WorldITLawyers - A network of specialists in ecommerce law, privacy and data protection, etc. dLK Legal is a modern legal practice with a practice focus centred around the financial and new technologies sector, providing assistance in regulatory, transactional and litigation matters. dLK specialises in advising banks, payment service providers, investment funds and firms on the insurance market, and companies in the IT sector, and clients and entities with which they do business. We provide assistance to entities which are subject to regulation for instance with respect to banking and payment services law, compliance issues, AML, corporate law, IT and personal data protection law, and consumer law. Specialists at the firm advise on the implementation of numerous projects which combine elements of banking and new technologies, taking part in work on key innovations in the financial sector, such as implementation of third-party provider access, Blockchain’s distributed ledger, and universal immediate payments. In connection with membership of the network World IT Lawyers, and in collaboration with the European Payments Consulting Association (EPCA), we handle numerous cross-border projects. Experts at dLK participate in “Blockchain and cryptocurrency” streaming works conducted at the Ministry of Digitisation as part of the “from a Paper to a Paperless Poland” scheme. Lawyers at dLK also participated in work on a report on the “Study Impact of the PSD” and “Principles, Definitions and Model Rules of European Private Law” for the European Commission. Lawyers at the firm have authored numerous publications, legal analyses and commentaries, and speak at prestigious sector events in Poland, Europe, the US, and Asia. They also share their knowledge and many years of experience in their work as academic lecturers. 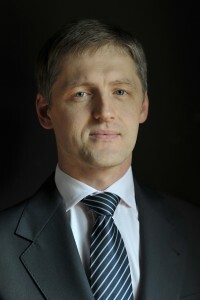 Dr Krzysztof Korus is a legal advisor, PhD in law and economist. He is an expert in payment services law, IT law and banking law. Recommended by Chambers Europe in 2015, 2016 and 2017 in Banking & Finance category („strong experience in banking regulatory matters”, „deep knowledge and long experience”, “understands the business implications of his advice”). Member of the “Blockchain and cryptocurrencies” working group at the Ministry of Digital Affairs within the “Turning into digital reality in Poland” programme. Coauthor of European Commission “Study Impact of the PSD” and “Principles and Definitions and Model Rules of European Private Law” reports. Associate member of the European Payments Consulting Association, a member of the programming board at the monthly publication “Banking Law Monitor” and a legal expert to the Polish Organisation of Non-banking Payment Institutions. He was a member of the working group of the Financial Market Development Council at the Polish Ministry of Finance, dealing with implementation of PSD Directive, worked with the Polish-German Centre for Banking Law at the Jagiellonian University and London Economics, a long-standing academic lecturer. He has authored several dozen publications, legal analyses and commentaries relating to electronic payment instruments and been a speaker at numerous conferences and seminars concerning this issue in Poland, Europe, North America and Asia. He is directly involved in legislative process at both the national and EU level.